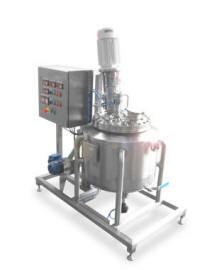 Suncombe have been manufacturing Solution Preparation Systems and Formulation Systems for in excess of 50 years. Solution preparation requires detailed design to ensure that the formulation and preparation of your Solutions are carried out in an exacting controlled and contained manner. Our engineers and designers pay exacting attention to ensure the precise, efficient and safe operation of your Solution Preparation Systems and Formulation Systems. Including static or mobile vessels the systems incorporate associated equipment, instrumentation and piping together with agitators, vent filters, mixers and metering solutions, incorporated with a stand alone or integrated control system. 3D modelled, any requirements for gantries or access platforms are incorporated, together with locations for Operator Interface and Intervention.